Barnstable is the largest and most varied town on Cape Cod, and is the business Center of the Cape. The Islands of Martha's Vineyard and Nantucket as well as Boston, Providence, RI, and the rest of Cape Cod are easily accessible from its central location. For additional information or any questions about Barnstable, please feel free to contact us! Barnstable contains seven villages: Barnstable, Centerville, Cotuit, Hyannis, Marstons Mills, Osterville and West Barnstable. Barnstable Village is historic and lies along the Old King's Highway. Some of the oldest buildings on Cape Cod, including the Sturgis Library (1644), the Olde Colonial Courthouse, and the Crocker Tavern are in Barnstable. The Village is characterized by antique sea captains' homes, B&Bs, and antiques shops. Hyannis Village is the commercial hub. The villages of Centerville, Cotuit, and Osterville are predominantly residential. West Barnstable and Marstons Mills are the most in rural atmosphere of all the villages in Barnstable. Kalmus Beach has excellent wind-surfing, is situated near the Hyannis Yacht Club, and is easily accessible from Hyannis and Main Street with its restaurants, shopping and nightlife. Lake Wequaquet is the largest of 450 lakes and ponds on the Cape. It has a public beach and water sports are allowed, including motor boats. Barnstable offers varied shopping opportunities and night life, including many options for fans of live music: jazz, folk, rock, and the Cape Cod Symphony. There are opportunities for recreational boating via Hyannis Harbor and Barnstable Harbor. Hyannis Harbor is a focal point and must see with its art shacks, restaurants, and recreational and commercial fishing and boating communities. The FIGAWI sail boat race involving 240 boats is usually held during the last weekend in May. This race from Hyannis to Nantucket kicks off the Nantucket and Cape Cod sailing season. 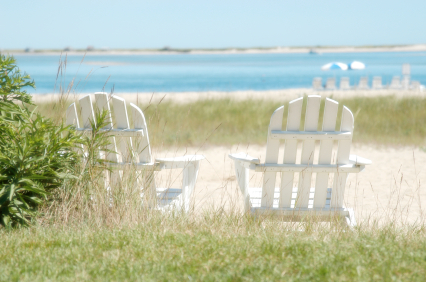 The Barnstable area also has many golfing opportunities, and is host to the Hyannis Farmer's Market.